A killer who dismembered his tenant's body before stuffing it into a suitcase which he dumped into a canal has been found guilty of murder. Michael Spalding, 39, known as Spud, from Ladywood, Birmingham, was discovered by men working near Icknield Port Road on 12 May, police said. 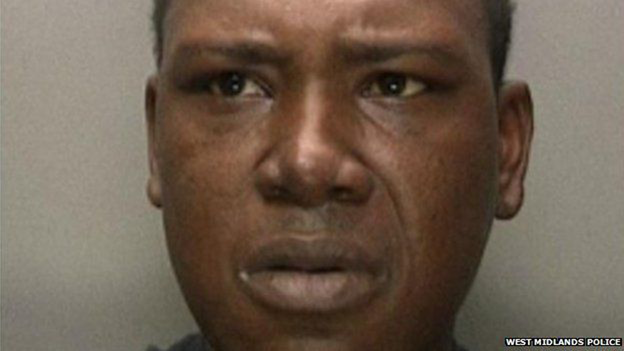 Lorenzo Joshua Simon, 34, was convicted of murder after a five-week trial at Birmingham Crown Court. His co-defendant Michelle Bird, 35, was cleared of the same charge. She had previously admitted assisting an offender. The pair, both of Oxford Road, Smethwick, are due to be sentenced next week. 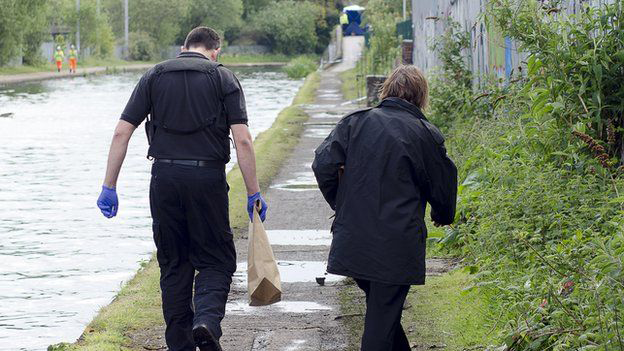 West Midlands Police said Mr Spalding was believed to have been killed 16 days before the suitcase containing his body parts was found by a Canal & River Trust contractor. 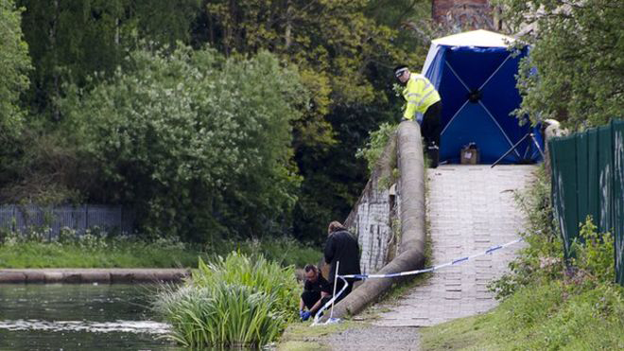 A police search later discovered a hacksaw and a second suitcase, also containing body parts, on the canal bed. The post-mortem examination was unable to confirm the precise cause of death, but officers said they suspected Mr Spalding died from a stab wound to the neck, "evidence of which was subsequently destroyed when the body was beheaded". West Midlands Police said a number of weapons were used to dismember the body, including knives, a saw and possibly an axe. The force said Mr Spalding had initially been staying with Simon in return for helping to renovate his flat in Smethwick. However, officers said Simon and Bird had used Mr Spalding like "slave labour", and their treatment had led him to "break" and complain. Det Insp Harry Harrison said this, combined with an argument over damage caused to Simon's car, led to the fatal attack. "Simon said he hit Michael in the back, that he fell to the floor dead within seconds, and claimed to have disposed of the body in panic," he said. "Bird said she was on an errand to buy alcohol at the time of the killing but later admitted helping her boyfriend in the aftermath." "However, we were able to provide compelling evidence to the jury that this was a vicious murder and Simon went to considerable lengths to try and cover his tracks." Police said neighbours had seen a bonfire in the rear garden following Mr Spalding's disappearance and a forensic examination of an oil drum found debris from his humerus , or upper arm, bone. Thanks to support from the University of Warwick, police said 3D scanning technology revealed "a perfect jigsaw fit" between the bone and a severed limb found in one of the suitcases, as well as links between the hacksaw and marks found on other bones. 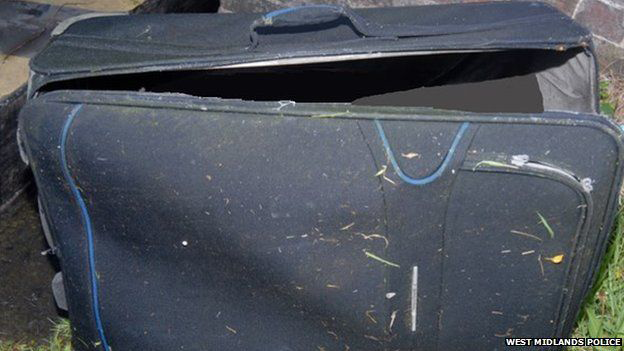 Officers said a black suitcase was first spotted by a narrow boat owner floating near Pope Bridge on 5 May. Other canal users also reported the case, before a contractor, suspecting it contained a dead animal, towed it to Icknield Port yard a week later.